Eleanor McCullogh and Alex Weir with their degree show work. Images courtesy of Edinburgh College of Art. We are delighted to announce the winners of two 12-month studio residencies awarded by ACS in partnership with the Edinburgh College of Art. 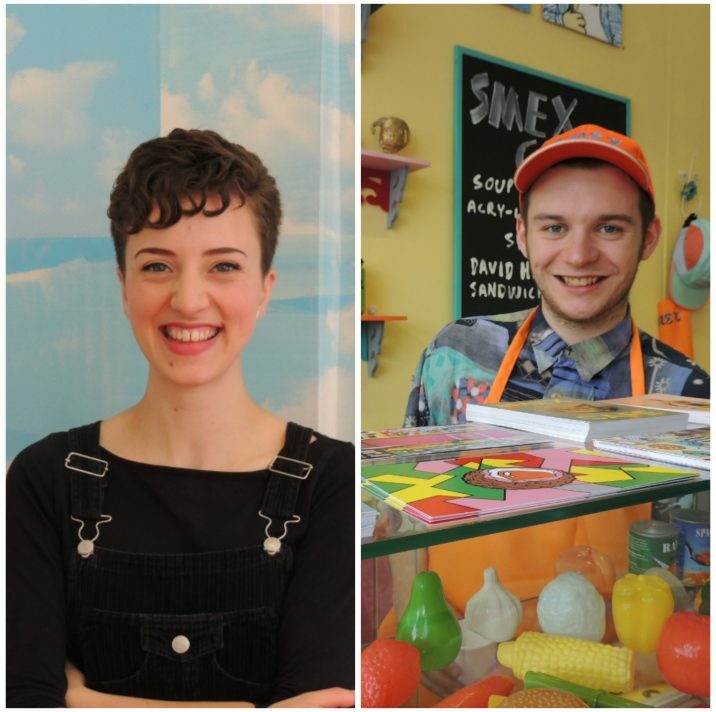 Eleanor McCullogh, Fine Art MA (Hons) and Alex Weir, Painting BA (Hons) are the recipients of two fully funded 12-month studio residencies awarded for the first time by ACS in partnership with the Edinburgh College of Art at the University of Edinburgh. For further information on the award and its recipients, please visit the Edinburgh College of Art here. We are proud to assist the graduates in establishing their new studios, and look forward to visiting them in the autumn for an update on their latest work.